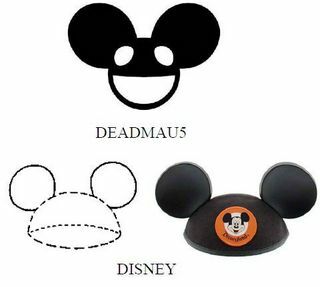 Disney’s trademark attorneys sought an extension of time at the U.S. Patent & Trademark Office’s Trademark Trial & Appeal Board while they review their options in legally challenging DJ Deadmau5’s application to register his mouse-head logo. Joel Zimmerman, better known by his Deadmau5 stage name, is a well-known music producer and DJ. For many years, the DJ has used his mouse-head logo on numerous album covers and also worn it as a headdress at his live performances and concerts. The DJ filed a trademark application at the USPTO to register the mouse-head logo for use on a variety of goods and services including stereo turntables, DVDs featuring music, coffee, beer, clothing, entertainment services in the nature of performances by a musical artist, and even BMX bikes. After a trademark application is filed, if the examining attorney finds a lack of potential confusion with any previously registered or pending trademarks, the application is published for opposition for thirty days. During this opposition window, any person or company that believes it will be harmed by the registration may either file an opposition to the registration or seek an extension of time to oppose the registration. Disney has chosen the latter route while it evaluates its legal options in the next ninety days. Disney is the long time owner of the trademark in mouse ears depicted here, which are incorporated into the ubiquitous hats sold at Disney theme parks. With Jeremy Lin’s return to New York this week, the epicenter of the 2012 LINSANITY craze, Grantland published an article regarding Linsanity 2.0 and his basketball career with his new Houston Rockets team. Thus, I thought it was a good idea to revisit the status of the Linsanity trademark applications that flooded the U.S. Patent & Trademark Office after Lin’s meteoric rise to pro-basketball fame. 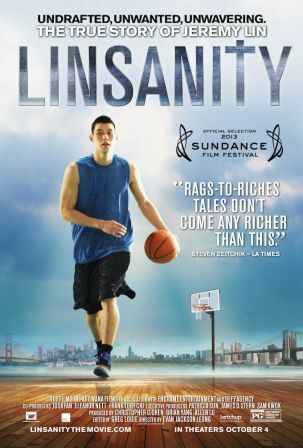 A Linsanity documentary chronicling his life has been made for goodness’ sake. Out of the eleven filed applications, nine have been abandoned because the applicants could not overcome the USPTO trademark attorneys’ refusal to register the name or nickname of a living individual without his consent (15 U.S.C. §1052(c)) or because it creates a false connection with Jeremy Lin (15 U.S.C. §1052(a)). One pending trademark application belongs to Jeremy Lin, who despite his quickness on the court was the last to file a trademark application. The other currently pending application belongs to Andrew Slayton, the proud owner of www.linsanity.com, which he registered two years before the Linsanity craze erupted. Because Slayton clairvoyantly registered the linsanity.com domain name in July of 2010, almost two years before Linsanity rocketed into the Knicks’ lexicon, he claims that his use predates Lin’s use of the trademark and the Section 2(a) false connection refusal is improper. Good argument, except Slayton bricks – worse than a Dwight Howard free-throw – the next argument by admitting that he registered the domain name and coined the term “to characterize fan Enthusiasm about Mr. Lin” while Lin was playing at Harvard. Slayton’s next argument is an air-ball – worse than a Dwight Howard free-throw – because he claims that “Mr. Lin is not so famous that consumers are likely to associate [Linsanity] uniquely and exclusively with Mr. Lin.” Before he hurt his knee, Linsanity and Lin were synonymous and even sports-averse media and individuals were discussing Lin and Linsanity ubiquitously. 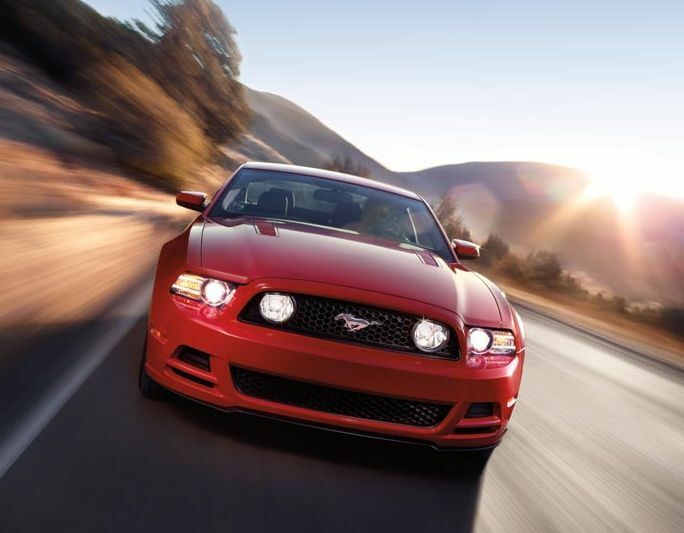 Selecting Car Trademarks – Ford Mustang Was Almost Called What? Consumer reports, through Yahoo, has an informative and interesting article on the trademark selection process for cars. It correlates well with my article on selecting a strong and enforceable trademark for your goods and services. The process begins with numerous proposals that are whittled down to the top few, which are then researched by a trademark attorney and clearance provided. Luckily for some car companies, however, some ill advised trademarks are still avoided – like Lafayette instead of the Ford Mustang. I don’t believe the “Lafayette” would evoke the same impression of freedom and speed as the “Mustang” associated with the pictured vehicle from Ford’s website. But then again, some companies did not read my advice and used the Nova trademark on cars, which means “it doesn’t go” in Spanish. Not a great trademark or message for a car, Chevrolet. This NBA season’s “LIN-derella” feel good story is New York Knicks’ Jeremy Lin’s fast-break rise from bench warmer to player of the week award recipient in a week. With his success, the nicknames have started pouring in faster than the 38 points he scored against the Lakers: LINsanity, LINcredible, LINvincible, LINsational, Super LINtendo, and my favorite, Duhhh LINning (à la Charlie Sheen). 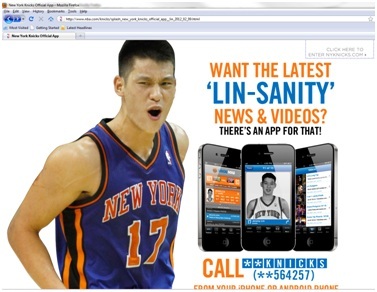 Lin is so popular right now that even the Knicks’ page on nba.com is dedicated to Lin and his new iPhone app. Lin’s popularity cannot be contested because I’m even writing about him. Well, I got carried away with all the hype. But along with the upside of fame comes unauthorized, third-party trademark applicants. A search of the USPTO’s trademark database shows an application filed only six days ago by an unrelated party, Yenchin Chang, to register the “LINsanity” trademark for use on a slew of goods including athletic uniforms, t-shirts, baseball caps and hats, etc. I hope that Mr. Chang does not expect to LIN (yes, that was bad). Trademark law prevents registration of a mark that “consists of or comprises a name, portrait, or signature identifying a particular living individual except by his written consent.” 15 U.S.C. § 1052(c). For example, the USPTO’s Trademark Trial and Appeal Board affirmed the trademark examining attorney’s refusal to register the trademarks “Obama Pajama” and “Barack’s Jocks Dress To The Left” because applicant failed to provide President Barack Obama’s written consent. In re Richard M. Hoefflin, 97 USPQ2d 1174 (TTAB 2010) [precedential]. To determine “whether a particular living person bearing the “name” would be associated with the mark as being used on the goods, we must consider (1) if the person is so well known that the public would reasonably assume the connection, or (2) if the individual is publicly connected with the business in which the mark is being used.” The trademark examining attorney – unless she’s been hiding under a rock this past week or is a Nets fan – should refuse registration because trademark law prevents even nicknames that identify a particular living individual from being registered without their consent. 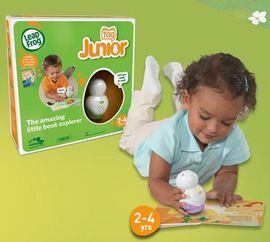 Los Angeles, CA – Tag Toys, Inc. (“BBI”) sued LeapFrog Enterprises, Inc. for trademark infringement, trademark dilution, and unfair competition under the Lanham Act § 43(a). Tag designs and manufactures infant and children’s toys that are sold throughout the U.S. under its TAG and/or “TAG THINK & GROW” trademarks, which marks have allegedly been used since 1979. Tag Toys has registered its trademarks with the U.S. Patent & Trademark Office and, because they have been registered for over five years, they have become incontestable. Tag Toys accuses LeapFrog of using confusingly similar “Tag” trademarks on children’s toys that are marketed through the same channels. Tag alleges that LeapFrog filed a trademark application with the USPTO for its own “TAG” trademark, which application was refused registration by the Trademark Examining Attorney due to the existence of a likelihood of confusion with Tag Toys’ previously registered trademarks. Thus, Tag Toys alleges, LeapFrog was aware of Tag’s senior rights in the mark. The case is Tag Toys, Inc. v. LeapFrog Enterprises, Inc., CV 09-07528 GHK (C.D. Cal. 2009). CNN Money has an interesting article (link here) regarding several companies’ attempts to invigorate their image by using new logos. Some have succeeded (e.g. Apple) and some, well, not so much (e.g. Xerox). Although re-branding is a bit of a gamble with consumers, having a strong word mark as a fall-back measure reduces the risks. The Trademark Trial And Appeal Board (“TTAB”) issued a ruling in In re Right-On Co., Ltd., affirming the examining attorney’s refusal to register Right-On’s three trademark applications, covering stitching on the back pockets of jeans, because they were a form of ornamentation and were not inherently distinctive to function as trademarks. Click HERE To Read The Opinion. 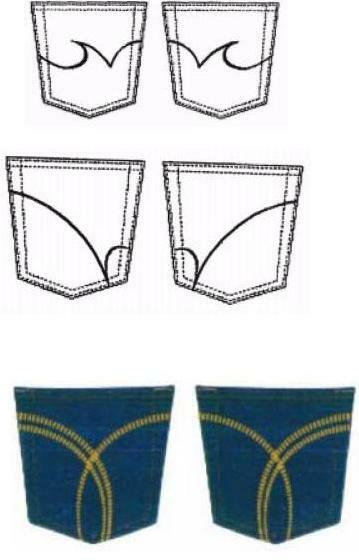 Right-On filed applications to register as trademarks on the Principal Register the pocket-stitching designs shown to the right for various apparel and garment goods. The focus of the appeal to the TTAB was restricted to jeans only. All three applications were based on a request for extension of protection under Section 66(a) of the Trademark Act, 15 U.S.C. §1141f(a) or, in other words, extension to the United States was sought from an international registration. The Examining Attorney refused registration of the pocket-stitching designs because they are “decorative or  ornamental feature[s] of the goods that are not inherently distinctive and thus would not be perceived as  mark[s] by the purchasing public without further evidence of acquired distinctiveness.” The applicant, surprisingly, “elected not to attempt a claim of acquired distinctiveness under section 2(f)” but instead appealed the final refusal to the TTAB. A trademark cancellation proceeding – which is similar to a lawsuit – was filed at the Trademark Trial and Appeal Board (TTAB) by John Lennon’s widow, Yoko Ono, against Lennon Murphy, the registrant of the “Lennon” trademark. Murphy, a musician, filed an “intent to use” trademark application with the United States Patent and Trademark Office (USPTO) for the trademark “LENNON” on April 11, 2001. The trademark application was published on October 29, 2002 and was registered on January 21, 2003. Ono alleges that she is the owner of two registered trademarks for “John Lennon” (although she fails to disclose that they are for a design – John’s signature pictured to the left – and not a word mark) for use with “paper products, tote bags and address books” and “eyewear and eyewear accessories.” Murphy’s registration, on the other hand, is for the use of the “Lennon” trademark on musical sound recordings and entertainment services by a musical group. Ono alleges that the use of the “Lennon” trademark will dilute, either by blurring or tarnishment, the power of her John Lennon trademarks. Ono further alleges that Murphy committed fraud on the USPTO in her application by not disclosing that “Lennon” was her first name and that Murphy lied to the USPTO when she stated that she began using the trademark in 1997, at the age of 15. Click To Read Ono’s Filing. Filing a trademark application with the USPTO for a descriptive trademark does not provide enforceable trademark rights until secondary meaning can be established, after which the trademark can be registered on the principal register from the supplemental register. The trademark owner learned the drawbacks of choosing a descriptive trademark when attempting to enforce its trademark rights against a domain name registrant in a National Arbitration Ruling that was filed under the Uniform Domain-Name Dispute-Resolution Policy (“UDRP”). Complainant trademark owner B&V Associates, Inc. filed a trademark application for its ewaterways.com trademark on July 26, 2000. However, because the USPTO deemed the mark was merely descriptive of applicant’s services, B&V amended its application to seek registration under Trademark Act Section 2(f), 15 U.S.C. Section 1052(f), based on acquired distinctiveness as a result of continued and exclusive use since 1996. On June 18, 1999, a year before B&V’s trademark application was filed, Respondent registered the ewaterway.com domain name. The Panel found that at the time of Respondent’s domain name registration, Complainant, as admitted by its Section 2(f) filing with the USPTO, had not established trademark rights because it had not acquired distinctiveness. Accordingly, because Complainant did not meet the initial burden of presenting a sufficient prima facie case showing of enforceable rights in the trademark at the time of the domain name filing, the Panel denied cancellation or transfer of the domain name. Click To Read The Decision. PRACTICE NOTE: It is best to adopt a trademark that is immediately protectable and enforceable. Descriptive trademarks are not immediately protectable and require a showing of acquired distinctiveness. Click To Read Suggestions On Selecting A Proper Trademark. WIPO domain name arbitration under the UDRP provides a thorough analysis of a domain name registrant’s rights and those of trademark owners. In HSBC Finance Corporation v. Clear Blue Sky, Inc., Case No. D2007-0062, Complainant HSBC had registered the trademarks CREDITKEEPER and CREDIT KEEPER (plus design) with the USPTO on July 13, 2004 and November 22, 2005, respectively. The domain name in dispute was initially registered by Peter Bradford on January 24, 2001 – prior to HSBC’s trademark registrations. On December 15, 2004, after HSBC’s trademark had already registered, Respondent Clear Blue Sky acquired the disputed domain name from Bradford for the sum of $48,000. The consensus view of WIPO Panelists is that, while a renewal of a domain name does not amount to registration for purposes of determining bad faith, the transfer of a domain name to a third party does amount to a new registration, requiring the issue of bad faith registration to be determined at the time the current registrant took possession of the domain name.